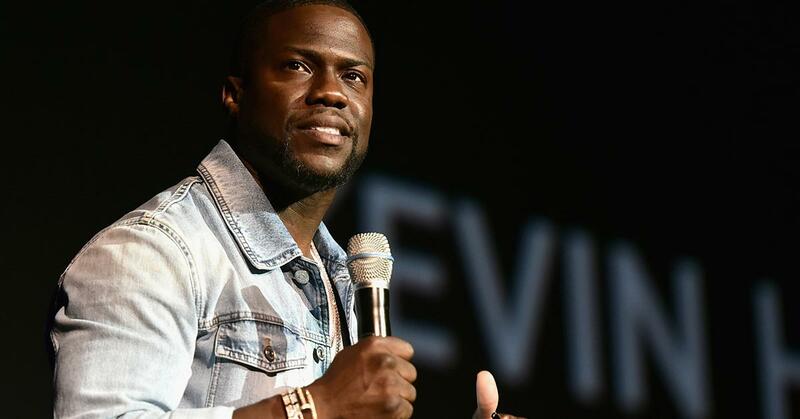 Two days after announcing he would be the host of the 2019 Academy Awards, Kevin Hart shocked fans and revealed his decision to step down amid the controversy surrounding his nearly decade-old homophobic tweets. "I have made the choice to step down from hosting this year's Oscar's....this is because I do not want to be a distraction on a night that should be celebrated by so many amazing talented artists. I sincerely apologize to the LGBTQ community for my insensitive words from my past," he tweeted. "I'm sorry that I hurt people.. I am evolving and want to continue to do so. My goal is to bring people together not tear us apart. Much love & appreciation to the Academy. I hope we can meet again." But why did Kevin really step down as the Oscars host? Just hours before, Kevin refused to apologize for the homophobic comments he made in 2009, despite being asked to do so my the Academy or get replaced as the host. "I chose to pass, I passed on the apology. Reason that I passed is because I've addressed this several times. This is not the first time this has come up," he said in a video he uploaded on Instagram. "I've spoken on it, I've said what the rights and wrongs were. I've said who I am now versus who I was then. I've done it. I've done it. I'm not going to continue to go back and tap into the days of old when I've moved on and I'm in a completely different space in my life." He continued, "The same energy that went into finding those old tweets can be the same energy put into finding the response to the questions that have been asked year after year after year. We feedin' the internet trolls and we reward them. I'm not going to do it, man. I'm going to be me. I'm going to stand my ground. Regardless Academy, I'm thankful and appreciative of the opportunity. If it goes away, no harm, no foul." Well, the Academy did decide to go with another host, seemingly firing Kevin and prompting many famous supporters to defend the comedian. "Who digs up tweets from nine years ago?" fellow comedian Gary Owen asked. "Ellen, you hosted the Oscars and you're a proud gay woman, stand up for him." Billy Eichner also responded to the backlash, tweeting, "I’m no saint. We just wanted a little understanding, a little explanation. Apologies are tough — they leave you vulnerable. Toxic masculinity is real. I deal with it in my own way too. So on that note, I appreciate @KevinHart4real apologizing. And apology accepted. That’s all." So, what did Kevin say to spark the controversy? The controversial tweets that got the Ride Along star fired were posted between 2009 and 2011 — and were definitely insensitive to the LGBTQ community. "Yo, if my son comes home and try's [sic] to play with my daughter's dollhouse I'm going to break it over his head and say n [sic] my voice, "stop, that's gay," he wrote in one since-deleted tweet. Another read, "Why does [Damien Wayans] profile pic look like a gay billboard for AIDS... Booom, I'm on fire tonight." His son's sexuality was also a punchline on his Seriously Funny stand up special, and when asked about the offensives jokes in 2015, Kevin once again refused to apologize. "I wouldn’t tell that joke today, because when I said it, the times weren’t as sensitive as they are now," he told Rolling Stone. "I think we love to make big deals out of things that aren’t necessarily big deals, because we can." Following his decision to step down, GLAAD, the media monitoring organization, released a statement. 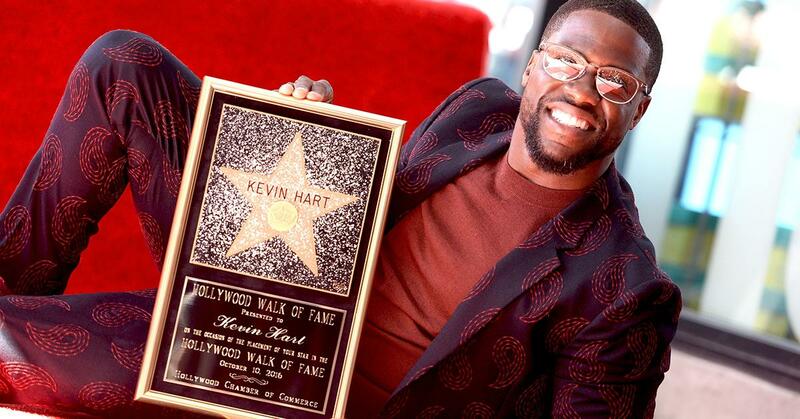 "Kevin Hart shouldn’t have stepped down; he should have stepped up,” GLAAD President and CEO Sarah Kate Ellis said. "Hart’s apology to LGBTQ people is an important step forward, but he missed a real opportunity to use his platform and the Oscars stage to build unity and awareness. We would still welcome that conversation with him. The Academy has recently made significant strides in featuring diverse talent onstage and they should now double down on that commitment as they look for a new host." The Academy Awards are still set to air on Sunday, February 24, 2019 at 8 p.m. on ABC. Is It Just Me or Do Male Actors' Heads Get Bigger as They Age?